For 2011, the mid-size Murano crossover vehicle gets a new look in front, including a different grille design, new LED taillights, and refreshed bumper and fascia designs. Graphite Blue is a new addition to the exterior palette. Inside, the hue of the instrument-panel lighting has been changed from orange to white. Nissan has added a new SV trim to the Murano lineup this year, slotting between the base S and popular SL models but below the most luxurious LE trim. The SV adds Bluetooth, USB and iPod connectivity, satellite radio, a dual-panel moonroof, a color monitor screen with backup camera and a power driver seat. The SL and LE trims get other additional standard equipment this year, with new woodgrain trim and fresh center-stack colors making the LE cabin more of a standout. Late in the model year, there will be an addition to the Murano lineup: the new Murano CrossCabriolet, a 2-door 4-seat soft-top version of the Murano that has a higher ride height than other convertibles while offering some of the same interior plush interior comforts and details as the rest of the Murano models. 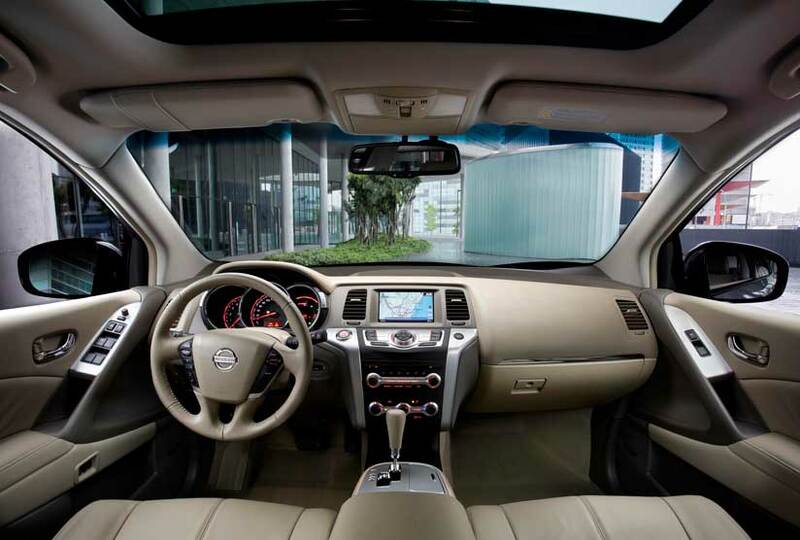 Nissan’s Murano stands out as offering one of the most stylish, best-trimmed, and best-appointed interiors from a non-luxury brand, with warm, soft-touch materials and color choices than make some other mainstream-brand crossover models seem drab. 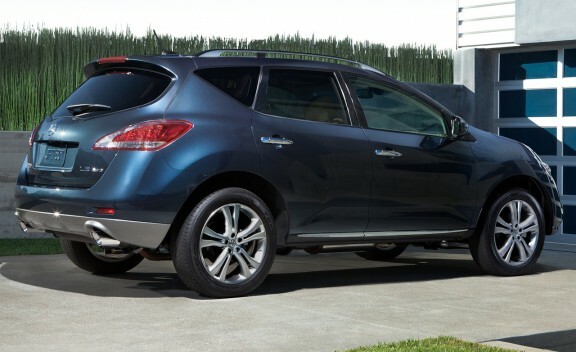 The Murano’s powertrain, while not overtly sporty, is also one of the smoothest and strongest in the business for typical suburban use-getting ahead at stoplights and making safe, quick passes on the highway, for example. Ride quality is also worth singling out; the Murano has a pretty impressive ride, especially with the standard 18-inch wheels, without feeling too floaty for a curvy road. The Murano lineup is now offered in four different trims-S, SV, SL and LE. While each of the models are offered in a choice of front-wheel drive or all-wheel drive, they’re all powered by the same 260-horsepower, 3.5L V6 engine connected to a continuously variable automatic transmission (CVT). Altogether, the powertrain is smooth and responsive, and the all-wheel drive system isn’t configured so much for off-roading as to improve traction and stability on slippery roads. 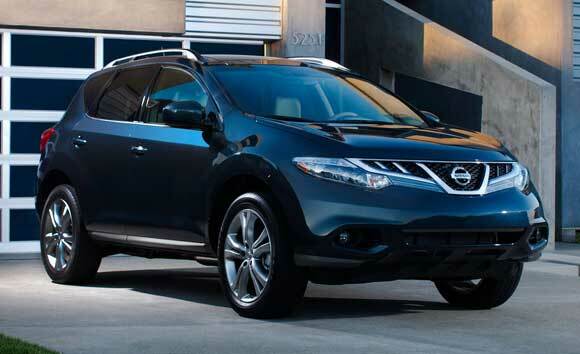 Ride and handling in the Murano is also oriented for family use on streets and boulevards rather than rutted trails. 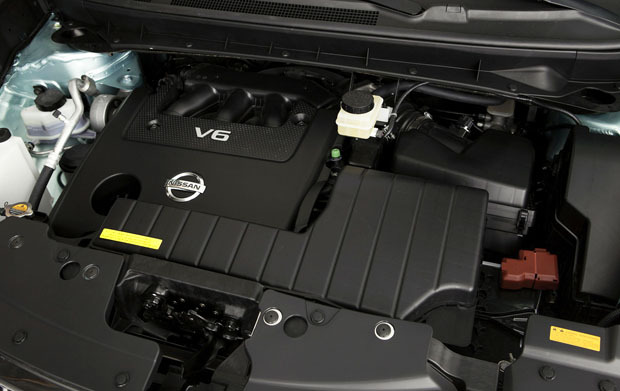 The 4-wheel independent suspension with large front and rear stabilizer bars allows an absorbent ride with crisp handling, and the speed-sensitive power-steering system-much like the one used in the Nissan Maxima sport sedan-has a nice weighting along with some feedback from the road. Larger 20-inch alloy wheels help give the Murano a somewhat more aggressive stance in LE models, but the 18-inchers in S, SV and SL models have been redesigned this year, too. Chromed door handles and dual exhaust tips help provide accents and all models but the S can be had with roof rails. Inside, the Murano has a stylish look, including luxury-caliber surfaces and trims, available double-stitched leather upholstery and, in general, a warmer, softer look than you’d find in most mid-size crossovers. The cabin includes a dual-level center console, huge glove compartment, various storage pockets and ample cupholders. There’s enough space for three in back, and the split-folding seats flip to a nearly flat floor quite easily. The Murano S lands at the affordable end of the lineup and includes power windows and locks, keyless entry, a 6-speaker audio system, push-button start and an iPod interface. The SL adds Bluetooth hands-free, a rear-view monitor, roof rails, and privacy glass, while the SL brings a power rear seatback return, a power liftgate, rain-sensing wipers, leather upholstery, heated seats and mirrors, a garage-door opener and Bose premium audio with 2GB of audio storage. Top LE models get silver-accented roof rails, rain-sensing wipers, HID bi-xenon headlamps, and 20-inch titanium-finish alloy wheels, plus a power-adjustable steering wheel with memory setting, woodgrain interior trim and heated rear seats. Options at the top of the line are limited to a Navigation Package that brings a touch-screen navigation system and 9.3 GB of music storage, plus Bluetooth Streaming Audio and voice recognition. The new CrossCabriolet convertible will only be offered in top LE trim, with space enough in back for two adults and a trunk that’s significantly smaller-at about eight cubic feet-than the standard Murano.